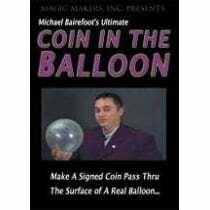 Everything you have ever wanted to know about coin magic on a four-disc DVD set. 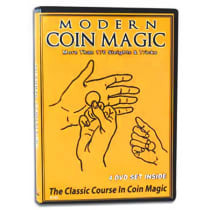 Covering most of Bobo's Modern Coin Magic book, this set is a great way to learn magic sleights with coins. Brother John Hamman's Lost Works do we need to say more! 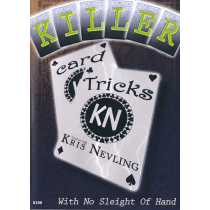 Kris will perform and teach you the real work behind these killer card tricks! The late Brother John Hamman was a genius at inventing card magic. In this DVD set, Allan Ackerman teaches you "Hal-duese-ination,"Wild All The Way,"Four-Tunate Choice," Peripatetic Fours," and "Final Twist." Great for close-up or table hopping. 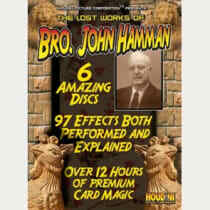 Brother John Hamman was one of the greatest inventors of card tricks. You will learn "Final Aces" considered one of the best card tricks of all time; along with "Micro Macro,"Amorphous Ace" and "Blushing Joker." Highly recommended. 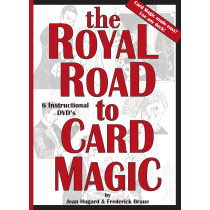 The 12 Best Tricks In Magic Are On This DVD! Plus, learn how to perform the Self-Levitation Illusion. 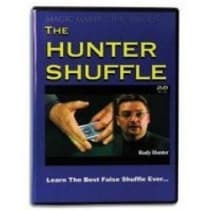 Rob Stiff will share with you the best of the best in magic tricks. 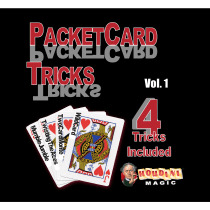 Start by learning a card trick that leaves their jaws dropping. Then, see how easy it is to make a coin vanish and reappear! 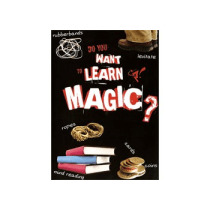 From cards, coins, rubber bands and ropes to tricks with ordinary books, you will get it all!